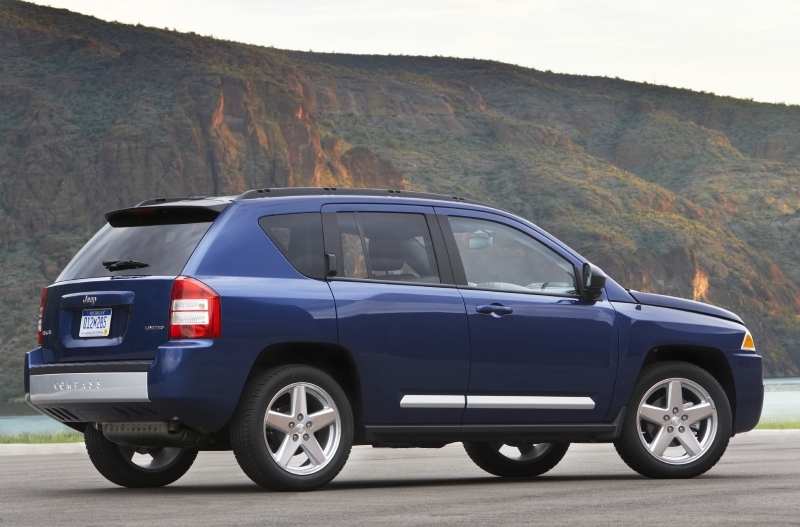 Back in 2007, Jeep introduced the Compass (along with the Patriot) as an entry-level crossover in its, until then, mostly outdoor-focused lineup. The Compass marked a fundamental change in the Jeep brand, being the first model strictly targeted not at off-road enthusiasts and outdoor adventurers, but rather the typical suburban commuter. In fact, it’s the first ever Jeep product to be sold in a front-wheel drive configuration. Though, of course, being a Jeep means all-wheel drive is naturally an option, so if you deal with wintry conditions on a regular basis, there is still a Compass that meets your needs. With a continuously variable transmission, up to 172 horsepower and optional four-wheel drive, the Compass clearly has Nissan’s Rogue square in its sights. Trouble is, the Rogue is a better vehicle in just about every conceivable way. Jeep attempted to address this issue last year by reworking the interior, redesigning the dash and incorporating improved materials, but still the Compass’ interior comes across as bargain bin, even when compared to similarly priced vehicles in the segment. While it might look good on paper, in reality it’s hard to claim that the Jeep Compass adds up to anything better than its competitors are dishing out. Being economical is what the Jeep Compass is all about, and it gets it right both in terms of sticker price and fuel economy (in front-wheel drive guise, at least), returning up to 29 mpg on the highway. 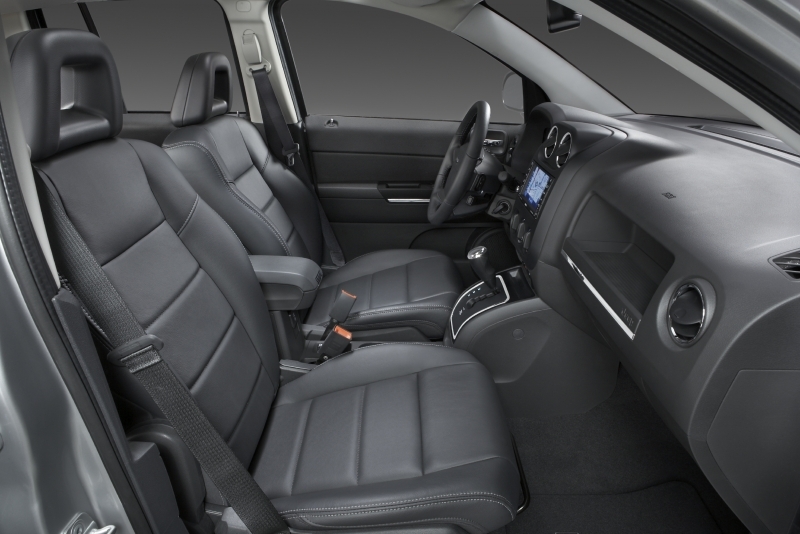 While cargo room comes at a premium, the interior feels plenty spacious – certainly more so than it appears from the outside – and several different trim levels and drivetrains allow customers a good amount of choice. Styling, both outside and in, leaves something to be desired, thanks to some awkward lines and low-grade plastics. The CVT transmission is poor to respond and when you do rev it up, the engine noise is painfully loud. Ride composure could use some improvement, especially considering this is Jeep’s take at urban transportation. If you’ve ever driven a vehicle with a continuously variable transmission (CVT), you’ll immediately notice a familiarity in the Compass’ drivetrain. The engine needs to be revved to make good power, but once above 5,000 rpm it makes decent headway, and the transmission can hold it at these revs all day long. Unfortunately, it also makes some noise at high rpm. A lot of noise, to be precise. And because it uses a CVT, if you want to keep accelerating you’ll have to let the engine sit there and drone on for some time, which tends to get old after a few seconds. Road noise is also uncomfortably loud on anything other than glassy-smooth surfaces. For the most part, the Compass drives like a car, which will be good news to most. Just don’t come in expecting anything resembling a truly rugged SUV-like feel. Around town the Compass is comfortable enough save for a few jitters over broken surfaces, and aside from feeling a bit slow, it is on par with everything else in the segment in terms of driving feel. The Compass has two engine options: a 2.0-liter inline four-cylinder producing 158 horsepower and 141 lb-ft of torque and a 2.4-liter inline four-cylinder that delivers 172 horsepower and 166 lb-ft of torque. 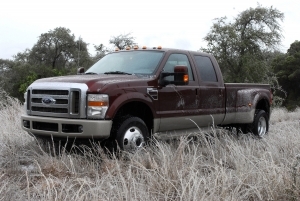 Power is driven through either the front or all four wheels, and both a five-speed manual transmission and continuously variable automatic transmission are available. Being a Jeep, four-wheel drive remains an option, though the only automatic transmission on offer is a rather unadventurous CVT. Safety features include a stability control system with rollover detection, traction control and side curtain airbags, all of which come standard. 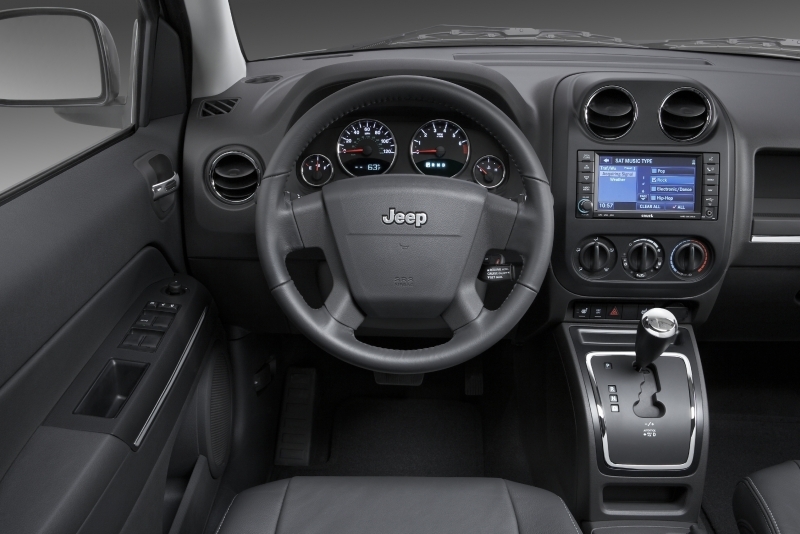 The Compass isn’t too heavy on technology, though you can get it with Jeep’s optional uConnect system (also seen in many Chrysler models) that adds a digital screen to the dash that manages everything from Sirius Satellite Radio and sound system settings to the navigation system. The system naturally adds a USB audio jack and a hard drive-based digital music storage system as well. There are a lot of available drivetrains, the most frugal of which is the 2.0-liter paired with a five-speed manual, which returns 23 mpg city, 29 mpg highway. When paired with a CVT transmission, those figures change to 23 mpg city, 27 mpg highway. The five-speed 2.4-liter engine is slightly thirstier at 23 mpg city, 28 mpg highway, while the CVT manages 21/25. Unless you’ve just jumped out of a time machine from the 1980s, the Compass’ interior – last updated in 2009 – is unlikely to impress and remains barely passable given what’s on offer throughout the rest of the segment. Hard plastics and awkward ergonomics make up the bulk of the experience, but highlights include plenty of headroom and the navigation screen, if you’ve opted for it. 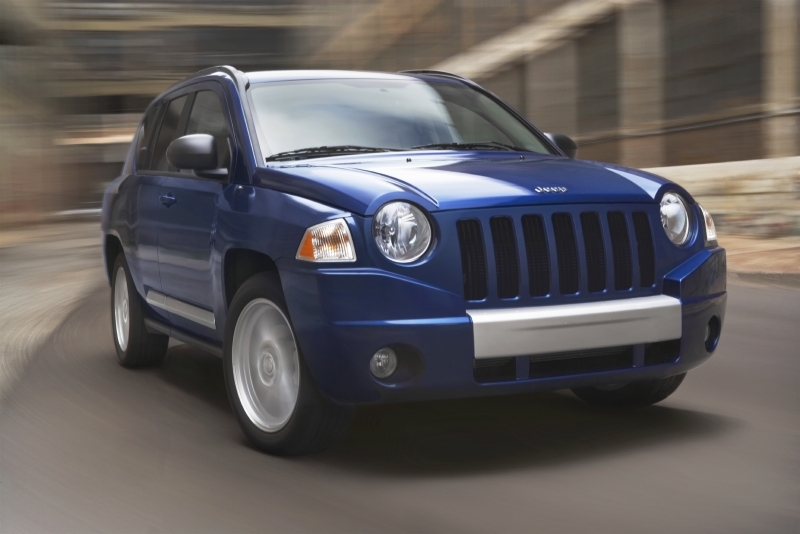 The overall rounded shape and odd lines of the Compass don’t exactly exude traditional Jeep ruggedness (though the company’s signature grille remains), but as this is Jeep’s urban runabout, perhaps that was the whole point. We wouldn’t call it unattractive, but perhaps unconventional. With a starting MSRP of $15,995, the Compass is certainly affordable, though chances are you will pay closer to $20K when all is said and done. Unfortunately for Jeep, its price puts it inline with everything else in the segment, including its own Patriot, which starts at the same price. Key competitors include the Honda CR-V ($21,545), Toyota Rav4 ($21,675), Kia Sportage ($16,995), Hyundai Tuscon ($18,995), Suzuki Grand Vitara ($18,999) and Nissan Rogue ($20,460). 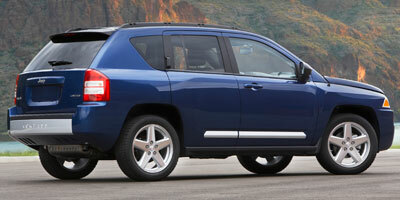 The Jeep Compass is a good example of an idea that looks good on paper, but somehow fails in execution. It’s not an atrocious car, it’s just that everything else in the segment does the same dance a whole lot better. If we wanted a compact SUV with a CVT drivetrain, we’d go for the Nissan Rogue every time.